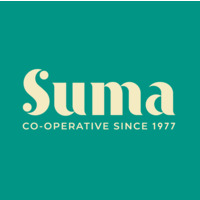 If you are looking to embrace a more healthy plant-based diet, Suma can help you. We offer a huge range of store cupboard basics for vegans, vegetarians and those of you flexitarians wanting to reduce your intake of cheese and meat in order to lose weight, have a healthier heart and live longer. From humble high protein beans and pulses, to ancient wholegrains, dried fruits, nuts and seeds - we offer the basics to help you create a delicious vegan meal.